London, UK – Americana music ensemble Auburn featuring Liz Lenten will be releasing their 5th album “Love & Promises” on June 17th 2016! The new album was mainly written in the mountains of eastern Crete last year, in a flurry of outpouring! As always with Liz Lenten’s prolific songwriting, themes cover the usual range of reflections of emotions and situations – from love, loss, uncertainty and yearning to lucid dreaming, frustrating teenagers, imaginary lovers, and the sorry sad state of the world…. Remarkably it’s pretty upbeat mostly actually….honest! With last year’s release of Auburn’s critically acclaimed album “Mixed Feelings”, 2015 proved to be a hugely exciting year for the band, who reformed in 2011 after almost a decade apart. The band embarked on a major UK tour again supporting the legendary Jefferson Starship and then later in the year with Martin Carthy & Dave Swarbrick, captivating audiences around the country with their unique blend of Americana, blues and roots music. 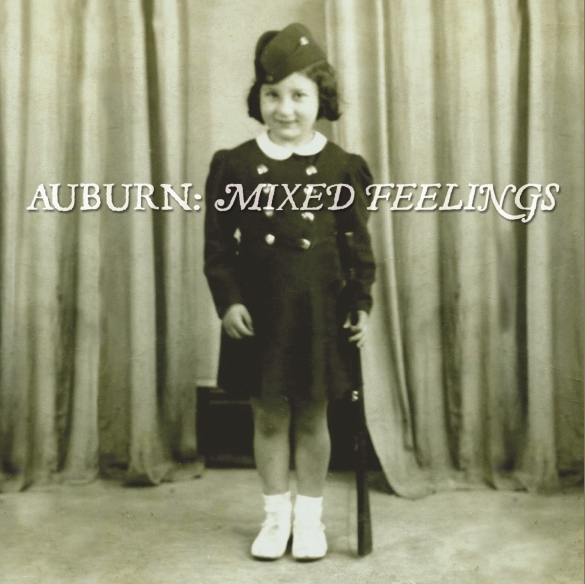 London, UK – Much to the excitement of music aficionados worldwide, UK acoustic ensemble Auburn is releasing a new album titled “Mixed Feelings” on September 11, 2015! Last year proved to be a hugely exciting year for the band, who reformed in 2011 after almost a decade apart. With a new album and a major UK tour supporting the legendary Jefferson Starship’s 40th anniversary tour, Auburn has been captivating audiences around the country with their unique blend of Americana, blues and roots music. Fronted by female vocalist Liz Lenten, who’s voice has been described as “so sweet it’ll make your hair curl” and “husky, with an emotional frailty”, who isn’t afraid to show her full range of vocal tones or emotions. 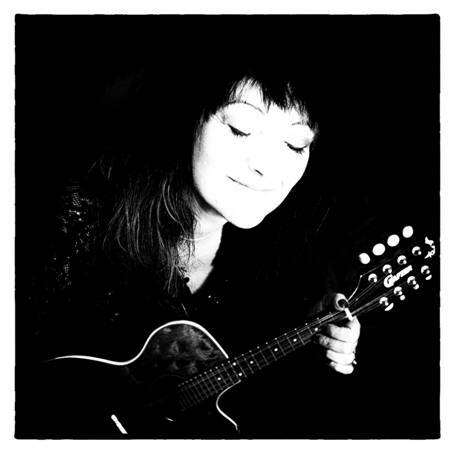 With varied influences from Bonnie Raitt, Billie Holiday, Ricki Lee Jones, Amy Winehouse, Kate Bush and Janis Joplin to name a few, Liz’s songs grab you melodically, but also tell a story of love and life. “Mixed Feelings” has 12 brand new songs, covering all the usual emotional issues, including love, loss, domestic abuse and manslaughter, confusion, perseverance, trust, friendship and psychotic-stalker-dumped-girlfriends! Auburn’s critically acclaimed 2014 album, “Nashville”, also featured songs written by Liz Lenten, and established the band’s place as a compelling force in contemporary Americana. Showcasing Liz’s versatility as a writer and vocalist, the album’s sonic world fuses elements of blues, Alt-country and roots music, with soulful lyrics and catchy pop rhythms. Recorded in Nashville, Tennessee with award-winning producer Thomm Jutz (Nanci Griffiths, Mary Gauthier, Kim Richey) “Nashville” featured musicians who have played with everyone from Roy Orbison to Garth Brooks and Dolly Parton. Three tracks from the album were made available on ReverbNation prior to its release and within a few weeks had reached No.1 in the UK Americana charts and No.7 in the Global Americana charts. “Nashville” has gained extensive airplay and great reviews across Europe – notably Netherlands, Germany, Belgium, Sweden, Portugal and France. To get the year started with a bang, they played a few live dates, again supporting Jefferson Starship on their 2015 UK tour. London, UK – 2014 is already proving to be a hugely exciting year for acoustic ensemble Auburn, who reformed in 2011 after almost a decade apart. With a new album and a major UK tour supporting the legendary Jefferson Starship as they celebrated their 40th anniversary, Auburn have been captivating audiences around the country with their unique blend of Americana, blues and roots music. The new album, ‘Nashville’, features 12 newly-penned songs from singer-songwriter and Auburn lynchpin Liz Lenten, and establishes Auburn’s place as a compelling force in contemporary Americana. Showcasing Liz’s versatility as both a writer and vocalist, Nashville’s sonic world fuses elements of blues, country and roots music, with soulful lyrics and catchy pop rhythms. Recorded in Nashville, Tennessee with award-winning producer Thomm Jutz (Nanci Griffiths, Mary Gauthier) ‘Nashville’ features musicians who have played with everyone from Roy Orbison to Garth Brooks and Dolly Parton. Three tracks from the album were made available on ReverbNation prior to its release and within a few weeks had reached No.1 in the UK Americana charts and No.7 in the Global Americana charts. Auburn were delighted to be asked to support the legendary rock band Jefferson Starship on the band’s 40th anniversary tour during January and February 2014. The 11-date tour gave them the opportunity to showcase new material from the Nashville album to large audiences across the UK, where the feedback was unanimously positive. Liz was invited on stage at the end of each night to perform with Jefferson Starship on their closing number ‘The Volunteers’. Following this success, Auburn are now lining up dates for festivals and gigs throughout 2014 and beyond, and are already working on new material, as well as a new video from the tour. 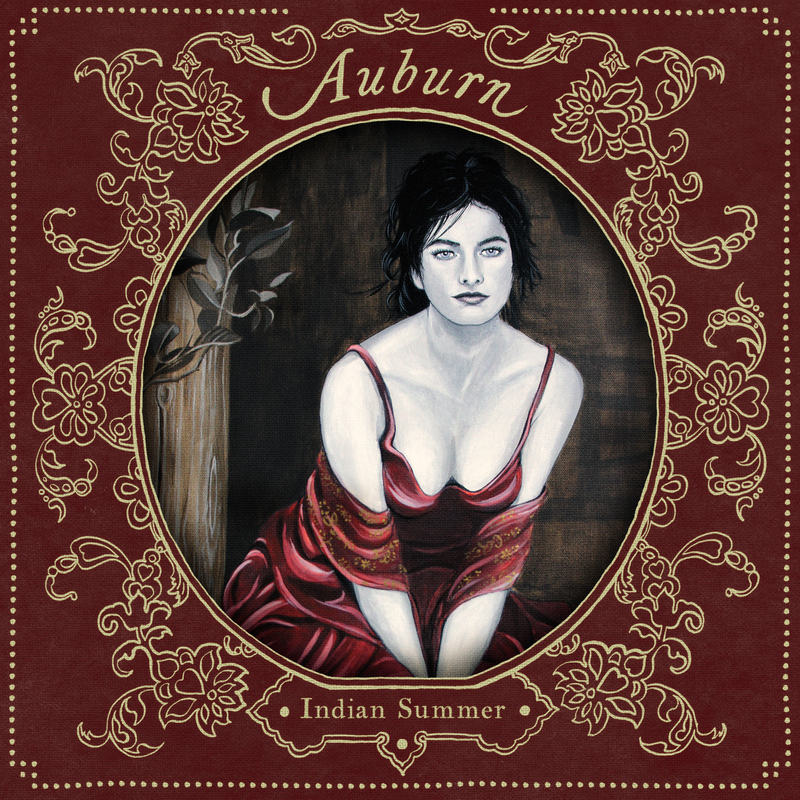 July 31, 2012 – London, UK – One of the break-out releases of 2012, UK electro-acoustic ensemble Auburn’s ‘Indian Summer, has been garnering rave reviews worldwide. Featuring singer/songwriter Liz Lenten, Auburn reunited in 2011 after an almost 10-year hiatus! The group released their critically acclaimed CD ‘Indian Summer’ on May 7, 2012 on Scarlet Records, distributed through Gonzo MultiMedia. Described as a band that delivers “songs from the heart” by the London Evening Standard, and “Dreamy, moody and atmospheric” by Classic Rock Society, Auburn has been touring the UK in support of their new CD release. ‘Indian Summer’ is a mix of up-beat and slower tempo electro-acoustic pop music, but borrowing much from the roots, country and blues genres, with a slightly retro sound but still very 2012. “We have been really thrilled by the positive reviews that the album has had and the response at the live shows,” says Liz. “It feels like people are getting it and getting me. There is definitely an awareness building around Auburn and the ‘Indian Summer’ album, and we mean to develop that by doing some new tracks after the summer, and more live shows later in the year and also next year. Fronted by female vocalist Liz Lenten, who’s voice has been described as “so sweet it’ll make your hair curl” and “husky, with an emotional frailty”, who isn’t afraid to show her full range of vocal tones or emotions. Likened on this album to singers including Macy Gray, Karen Dalton and Lady Daisey and with varied influences from Bonnie Raitt, Billie Holiday, Ricki Lee Jones, Amy Winehouse, Kate Bush and Janis Joplin to name a few, Liz’s songs grab you melodically, but also tell a story of love and life. The Auburn band is a mixed sound of lush acoustic guitars, rich cello lines and groovy percussion, underpinned by hypnotic bass lines. 5/4/2012 – London, UK – To much anticipation, UK electro-acoustic ensemble Auburn featuring singer/songwriter Liz Lenten has reunited after an almost 10-year hiatus! The critically acclaimed group has recorded a new CD titled ‘Indian Summer’ that is slated for release on May 7, 2012 on Scarlet Records, distributed through Gonzo MultiMedia. Described as a band that delivers “songs from the heart” by the London Evening Standard, and “Dreamy, moody and atmospheric” by Classic Rock Society, Auburn will embark on a UK tour in support of their new CD release. ‘Indian Summer’ is a mix of up-beat and slower tempo electro-acoustic pop music, but borrowing much from the roots, country and blues genres, with a slightly retro sound but still very 2012. The Auburn band is a mixed sound of lush acoustic guitars, rich cello lines and groovy percussion, underpinned by hypnotic bass lines. “Auburn manages to pull off the trickiest of tricks. Which is? Well, to make slow moving mood music that never fails to engage. What’s more, Auburn makes it seem easy,” touts Impressions magazine. 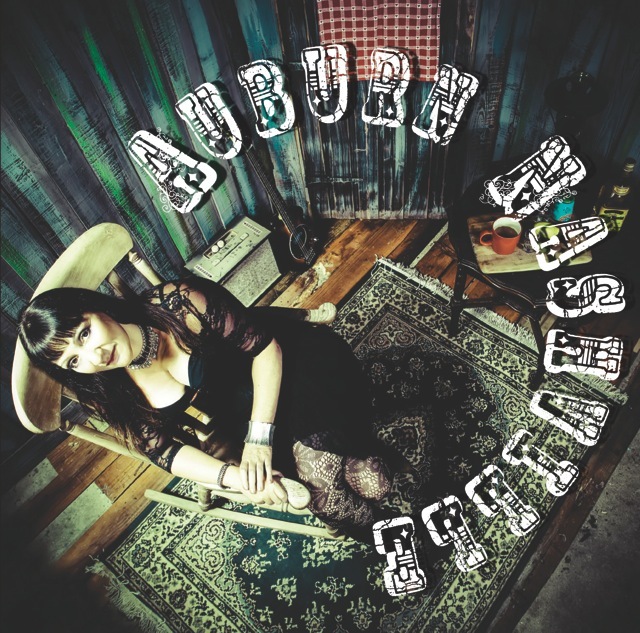 Along with Liz Lenten, Auburn features co-writer and producer Max Gilkes on guitars and piano (Lily Allen, Prince Fatty, Manu Chau), Jevon Beaumont on bass (BootLed Zeppelin, Laura Vane), Pat Garvey on percussion (BIMM, Nin Drums), Rob Lewis on cello (Two Spot Gobi). Along with the band members special guests Eliza Carthy on violin and background vocals, and Laura Vane on background vocals are featured on ‘Indian Summer’.